CETel has signed a contract to deliver fiber-like connectivity into Africa using the O3b MEO satellite constellation. Low-latency paired with maximum availability were the key drivers in the decision for the MEO solution. The long-term contract supports a leading African-wide operating communications and technology solutions provider to further expand their network across Africa. Various vertical markets will be served, such as mining, corporate, construction, telco/ICT and government. After the connection of multiple sites, CETel will further expand their operational MEO coverage that now spans the African continent. CETel will continue to work toward a connected world providing global hybrid networks consisting of GEO, MEO and Fiber-Architectures to cater to the ever-growing demand for data and connectivity solutions. 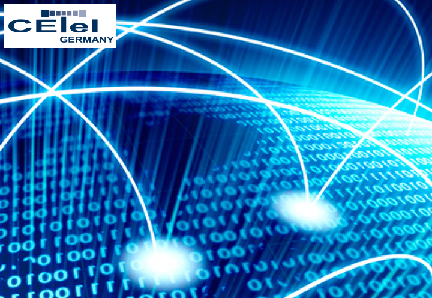 Guido Neumann, Managing Director of CETel, said that CETel is happy to welcome a new MEO customer and service. For the company, it is important to always select the best fitting available solution, all the while maintaining an eye on future technologies. Based on this philosophy, CETel is prepared for the upcoming technology challenges, which will result in significant benefits for their customers' needs and requirements. It is mandatory that GEO, MEO or fiber solutions be evaluated on a case-by-case basis. The company continues to see an increasing demand for all available and upcoming communications solutions with all their different characteristics and advantages.